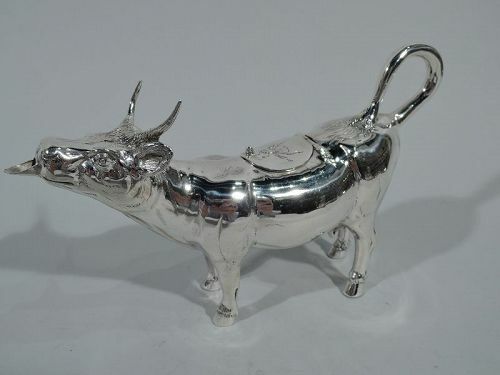 Antique German sterling silver cow creamer. Wide body with firmly planted hoofs, flicked-back tail ring handle, and hinged dorsal cover with engraved fly. Head has sharp horns and flicked back ears as well as spout in form of stuck-out tongue. An impertinent beast! Hallmarked. Very good condition.